I am honored to be a guest blogger and thank Sue Henry for this feature. 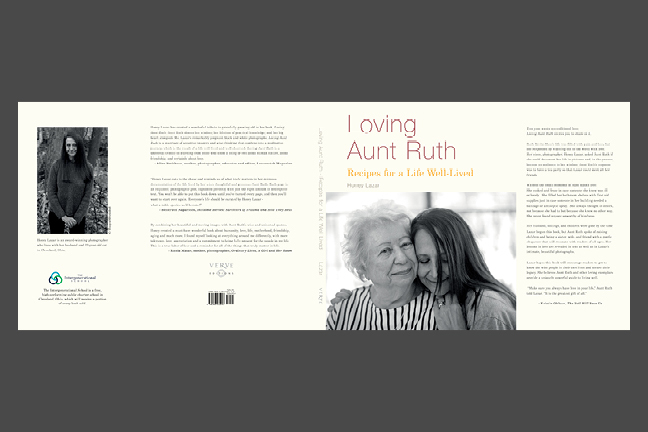 Spending 7 years creating Loving Aunt Ruth: Recipes for a Life Well-Lived makes it sound like I photographed Aunt Ruth specifically to create a photography book. Nothing is farther from the truth. 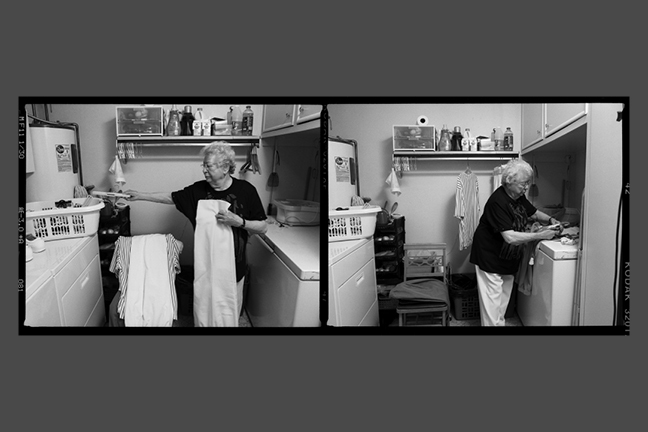 I asked Aunt Ruth if I could photograph her, because my sister moved to another city to be near her children and grandchildren, I was frightened about the void her absence would create, so I wanted to get closer to the last of my family elders. I began photographing as a teen to keep people from leaving me. My dad died when I was 3. He was a professional photographer whose images I held onto and studied which fostered an unconscious belief that photography equaled immortality! I didn’t go to art school until I was 40, leaving a social work career. Aunt Ruth hosted a tea party, so I could meet all of her friends, and for the next 3 years, I took a lot of pictures of parties, holidays, and daily life activities. 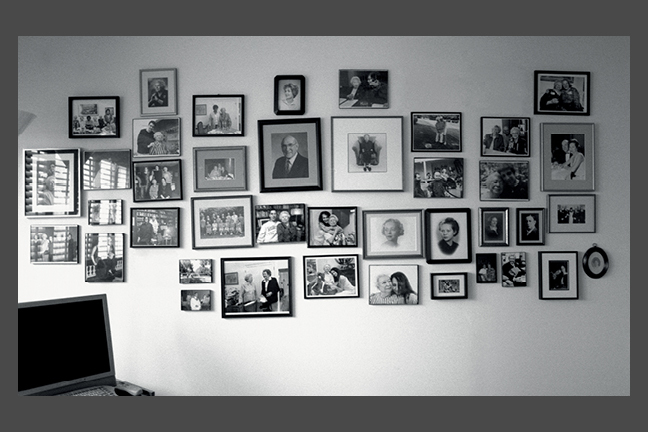 I used a Mamiya 645 medium format camera and printed over 400 11×14 photographs in my darkroom. As the collection grew, a story evolved, and I began working with Gary Chassman of Verve Editions. I asked Aunt Ruth how she stayed determined in the face of so much loss; her husband AND children were gone when I began, and her answer is the book’s anchor. “I accept that life isn’t easy. 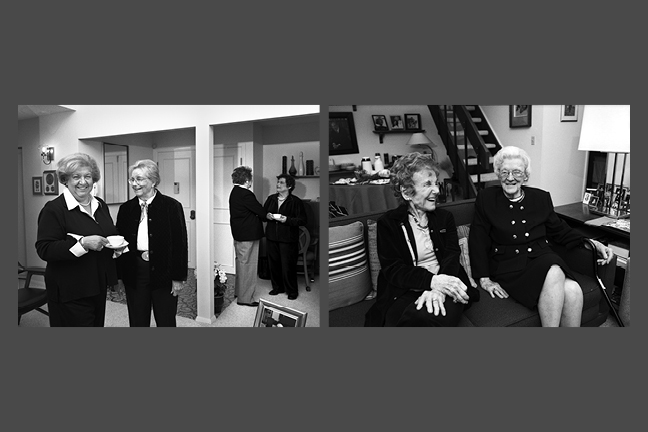 I have my faith….but, I have a will to live, and that will comes from loving people.” Aunt Ruth loved ALL people. She thought everyone was worthy. I learned life lessons every time I put the camera down. While the book is about Aunt Ruth, its universal themes speak all of us. We have our own Aunt Ruth, want to be like Aunt Ruth, or are an Aunt Ruth to family and friends. The book is about love, life, hardship, triumph, and photography! A little book about “being good” also does some good, because every single sold book donates money to a Cleveland charter school. Aunt Ruth thought being a teacher was the most important job a person could do. 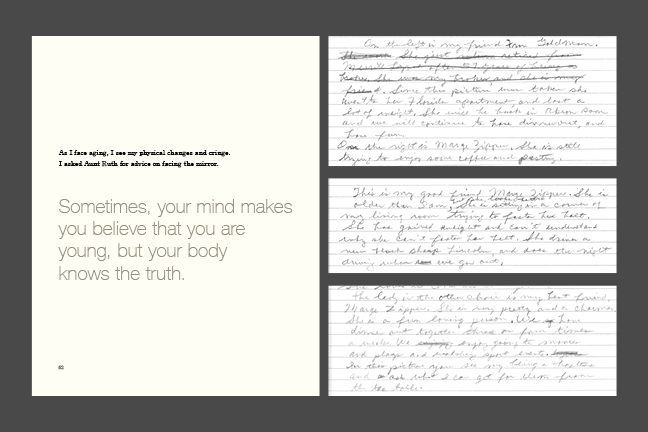 I chose photos for this post illustrating the process of creating this book. If you buy one book at $15.00, you get one free through Mother’s Day! Free love is always nice! Order directly through www.lovingauntruth.com or feel free to buy it at the full price on Amazon. Honey Lazar, today’s guest, lives and works in Cleveland, Ohio. She studied at The Cleveland Institute of Art and is a lifelong workshop student. Selections of her work are in permanent collections at the Progressive Corporation, University Hospitals, and Southwest General Hospital in Cleveland, Ohio. Her photographs have exhibited internationally, most recently in Malaga, Spain. Honey works on long-term projects for exhibition and publication. She photographs to immortalize loved ones, landscapes, and objects of desire and has recently published, Loving Aunt Ruth: Recipes for a Life Well-Lived. Honey says she loves everything about photography especially the people she meets. I have ‘virtually’ known Honey for several years and have found Honey to be a living testament to the love that her Aunt Ruth proclaimed. On any given day I can pick up my copy of Loving Aunt Ruth, open to a random page, and find a passage that will speak to me. Filled with the sage wisdom of Aunt Ruth and the wonderful photography of Honey Lazar, Loving Aunt Ruth would be a great addition to anyone’s personal library. This entry was posted in Guests and tagged Loving Aunt Ruth on April 22, 2015 by f4studionashville.